Well, here we are. We have reached the final destination when it comes to the Road to the Dome. 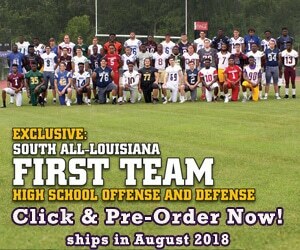 32 teams had one goal in mind and that goal is to be one of nine teams in the end holding a state championship trophy in the Mercedes-Benz Superdome with the Queen smash hit “We Are the Champions” playing in the background. Now, 30 teams’ seasons are over and there are only now only two teams standing. Both teams had a long journey to get to this point, but now, only one team will get the taste of sweet victory while the other team will suffer the agony of defeat. The Louisiana high school football stage does not get any brighter than this. A weekend filled with great championship matchups kicks off this Thursday and the games will conclude on Saturday. The final game of the weekend will be the Class 5A state championship game, which will feature the two best 5A public football teams in the state. In this game, the Zachary Broncos will face the West Monroe Rebels. Both of these teams have shown that they have what it takes to win the state championship, but which of the two teams will be able to get the win in the end? 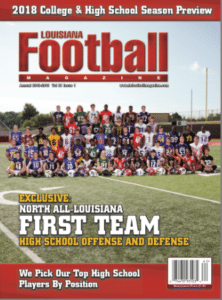 Well, Louisiana Football Magazine’s expert Lee Brecheen has seen all of these teams play and gives his insight on which team will win the Class 5A state championship. 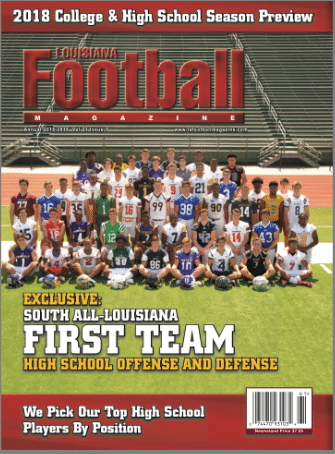 Also, Louisiana Football Magazine staff members Jace LeJeune and Cameron Cerniglia give their insight and predictions on the final title game of the championship game week. This week, we will get you all covered in what you need to know for the Class 5A state championship game. Game Info: Saturday, December 8th at 7:00 P.M.
Jace’s Game Preview: As dominant as the West Monroe Rebels have been in their storied football career, this might be their most dominant postseason up to date. Heading into the team’s semifinal game against the John Ehret Patriots, the Rebels have outscored opponents 130-0. The trend continued against the Patriots. The dominant defense frustrated UNLV commit QB Travis Mumphrey all night sacking him seven times and forcing him to complete under 50% of his passes and throw four interceptions. While the defense shut out the Patriots’ offense to only 207 total yards, the offense made enough plays with senior WR Michael Hamburg who had over 140 total yards of offense and two touchdowns in order to seal the 28-0 dominant victory in order to advance to the Super Dome. With the victory, the Rebels have done something that has not been done and that is post four consecutive playoff shutouts. While the West Monroe defense is making headlines entering the state championship, it is the Zachary Broncos that are making headlines on offense thanks to the team’s high scoring 67-57 semifinal victory over the Destrehan Wildcats. While the West Monroe/John Ehret semifinal game was a matchup of two of the state’s best defenses, the Zachary/Destrehan semifinal matchup featured two of the state’s best offenses. In the game, both offenses combined for over 1,000 yards and 124 points. For Destrehan, Stephen F. Austin commit QB Harold Blood Jr. threw for 263 yards and three touchdowns while LSU commit RB John Emery ran for 107 yards and two more scores before leaving the game with a lower leg injury. However, it was not enough as Zachary junior QB Keilon Brown had a great game throwing for 164 yards and two touchdowns while rushing for another 155 yards and two more touchdowns. The Broncos also made some big plays on defense and turned those turnovers into touchdowns as well. The West Monroe Rebels will be looking for their ninth state championship, but first since 2011, while the Zachary Broncos will be looking for their third state championship in four years under Head Coach David Brewerton. It is going to be a great matchup featuring one of the best offenses versus one of the best defenses. However, I feel the Rebels will be hungry to win this game especially Head Coach Jerry Alredge. 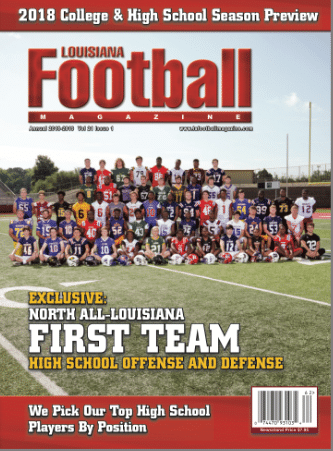 The Rebels have come close over the last couple of years including losing in the Super Dome to Landry Walker as well as losing to Zachary in the semifinals last season. I think the Rebels’ defense will be up to play and their offense will play ball control. I like the Rebels to seal the deal on the final game of the weekend. Cameron’s Game Preview: This may be the closest game in the Dome. This game will feature one of the best offenses in the state against one of the best defenses in the state. Zachary has been able to put some points up in the playoffs and West Monroe has not given up a point. I think this game will come down to West Monroe’s offense making a play late in the game.